Sue Britton is the Chair of the FinTech Awards hosted by the Digital Finance Institute, and in that capacity, oversees the annual Canadian FinTech Awards entire nomination process and the Awards Gala Event in Toronto. Sue is the CEO & Founder of the Fin+Tech Growth Syndicate, a Canadian company that advises FinTech companies and institutions on accelerating and partnering. 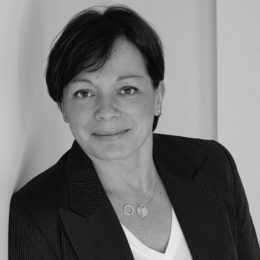 She has over 20 years of experience leading innovation with some of Canada’s largest and fastest growing FinTech companies and large organizations. Before launching FinTech Growth Syndicate, Sue was Vice President & Head of Innovation for D+H, where she was responsible for establishing internal innovation centres, developing innovation capabilities enterprise wide, and commercializing ideas. Prior to that, Sue was a SVP and General Manager at Broadridge Financial for a start-up business unit she created. She is also an inventor and patent holder. Sue has a Bachelor of Commerce from Ryerson University.